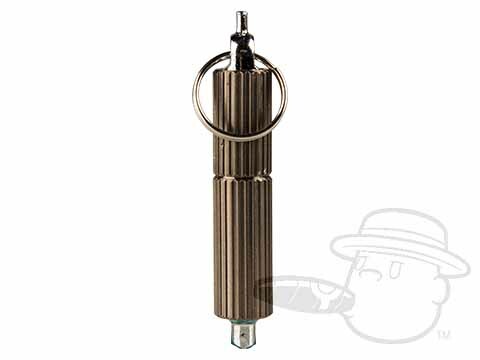 A unique cigar tool featuring a combination of functions in one sleek package, the innovative Punch Cutter & Lighter Adjustment Tool by Jetline works as a cigar lighter purger and valve adjuster, and also has a built in 8mm cigar punch cutter. Bringing you all of this in a slim and lightweight design that fits perfectly on a key ring, this is one cigar accessory that every aficionado should own. Why didn't someone think of this sooner?